In the quest to outfit my Toyota Tundra for Overland use, countless hours have been spent scouring the interwebz for specific products. Watching reviews (yes, we watch others review products as well) to figure out what works and what doesn’t. 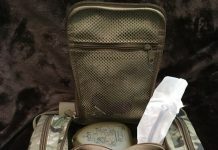 The Rigid Insert Panel MOLLE (RIP-M) from Grey Man Tactical is the result of both research and communication with the owner of Grey Man Tactical. I was searching for a well built seat-back storage solution. A place to organize items that too often end up tossed onto the back seat or floor. Items that I regularly need quick access to while traveling. Although there are several seat back MOLLE panels available, the RIP-M from Grey Man Tactical is by far the best choice in my opinion. Other manufacturers tend to use a tactical nylon or Cordura fabric for their seat back panels. A great fabric for most applications, but not for a seat back organizer. Unless your drivers seat back is perfectly vertical, (which it is not) you will experience sag from the fabric panels once loaded with the gear you intend to carry. 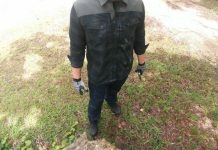 Here is why Grey Man Tactical is a clear choice. Instead of structureless fabric, they use 3/16″ thick High-Density Polyethylene (HDPE) to manufacture their RIP-M panels. Which is a game changer in reducing sag. And the reason I selected these products for my Overland vehicle. Although the RIP-M panel from Grey Man Tactical lends well to firearms storage, my intent for the seat-back loadout differs a bit. And since the panel is precision cut MOLLE, I can add whatever pouches I want to it. My loadout is specific for Overland travel. I have a short list of items that I regularly dig for in the truck. Items like GoPro mounts and spare batteries for filming. Midland radios for communications. Flashlights, fire extinguisher, medical and recovery gear. Multi tools, knives and even cold weather gear like a hat and gloves. All organized on the back of my drivers seat and not haphazardly rolling around in the cab. Additionally, the use of quick release buckles make removal and installation a snap. 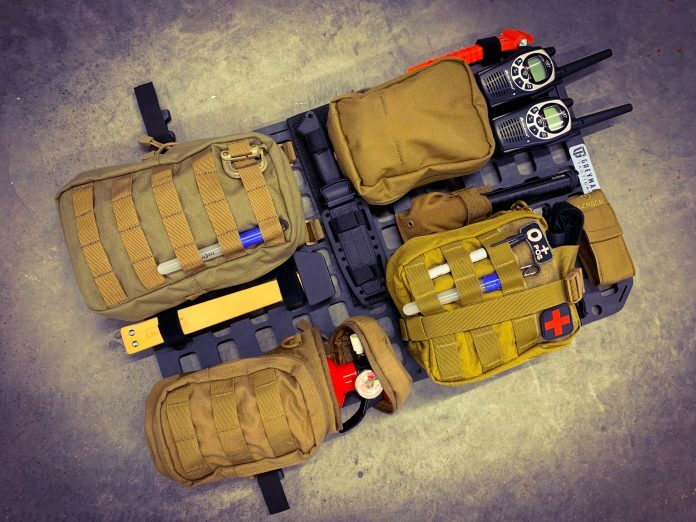 Grey Man Tactical offers a wide range of Rigid MOLLE Panels, not just seat-back organizers. Panels that are specifically designed to fit inside Pelican cases. As well as some of the more popular backpacks. Allowing the user to organize the contents of their ruck as well as rapid removal of the panel and contents should the need arise. Several additional sized panels are available for unique mounting locations such as the FJ Cruiser Dash Panel. I’ve even seen them mounted to the back of a spare tire to carry recovery gear on a Jeep. Whether you’re a LEO, Military or flight crew, check out Grey Man Tactical to find which panel works best for your application. Due to the limited leg room in the rear of the Tundra Double Cab, I can only mount this seat back panel when no-one is sitting behind me. Not liking to waste space in my truck, I intend to permanently mount a 27.25″x19″ RIP-M panel in the dead space behind the rear folding seats this winter. 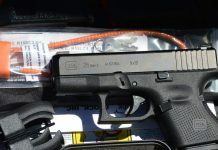 A covert location that would be perfect for mounting an SBR and a few magazine pouches. And a good alternate location when I have rear seat passengers and can’t use the seat back panel. 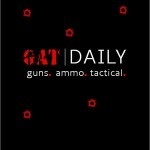 Stay tuned to the Loadout Room for future Grey Man Tactical reviews.